Tylee Bush is a Steelcase intern as well as a student at Grand Valley State University studying communications and writing. 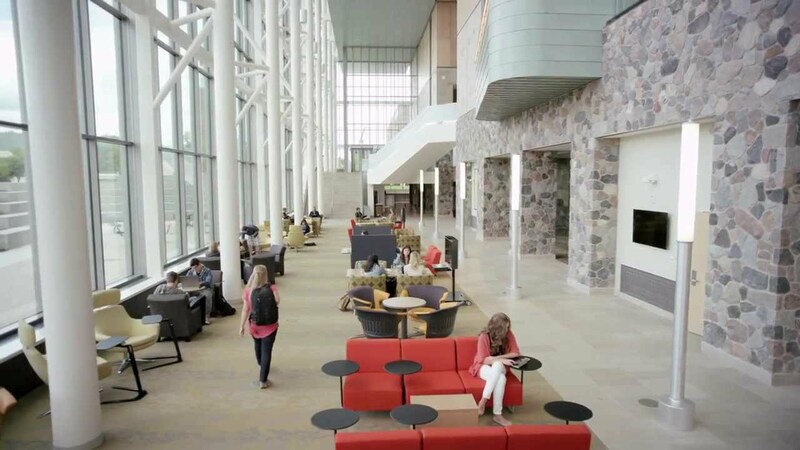 She shared her story with 360 about the impact an active learning renovation on GVSU’s library had on her studies. Grand Valley State University tour guides never fail to showcase the library on each and every tour of campus. 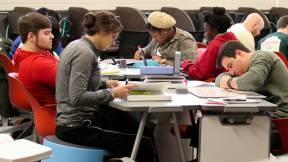 The streams of students and parents have become a ubiquitous sight in the library facility. I distinctly remember being a prospective student and visiting the library for the first time. I knew immediately it was far more than a typical library and it became obvious to me why the space is a highlighted feature of GVSU. 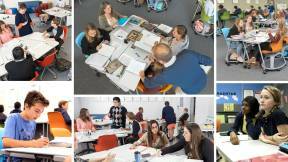 Prior to renovations, GVSU recognized learning happens in more than just the classroom. The old library wasn’t cultivating creativity and productivity. 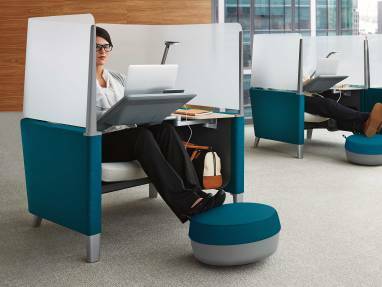 Alumni recall it as “stiff” and “suppressing.” They remember it feeling homogenous with stagnant furniture, a shortage of outlets to charge devices and few spaces for collaboration. 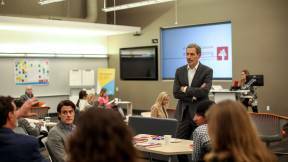 The university recognized the opportunity to reinvent the space — acknowledging the increasing importance of active learning. 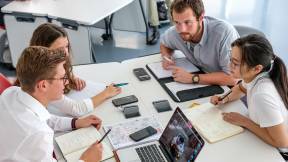 Teaching methods are evolving, with classes employing group projects and individual work along with lectures. 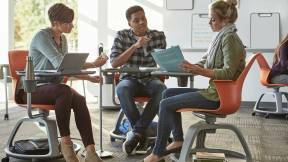 And it’s not just instructors teaching; peer-to-peer learning is on the rise. 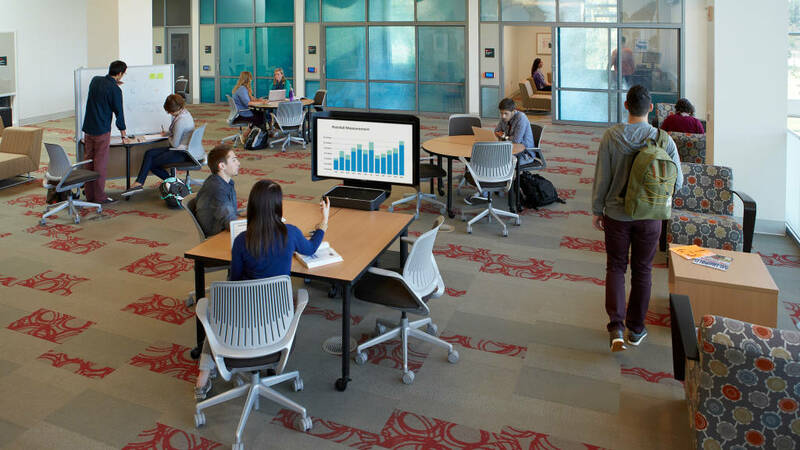 These interactive teaching methods require learning spaces where everyone can see and interact with content, instructors and other students, often at a moment’s notice. 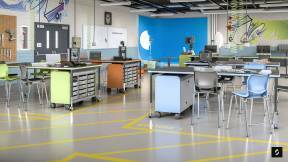 Learning preferences vary; spaces must be flexible and fluid enough to support this diversity. 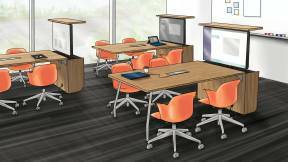 The GVSU administration saw the need to equip all kinds of learners and enable a variety of learning methods. 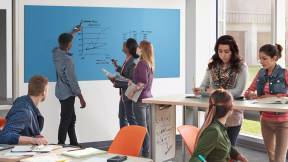 They decided to partner with Steelcase to reimagine the library by crafting a collection of spaces with a variety of active learning environments. 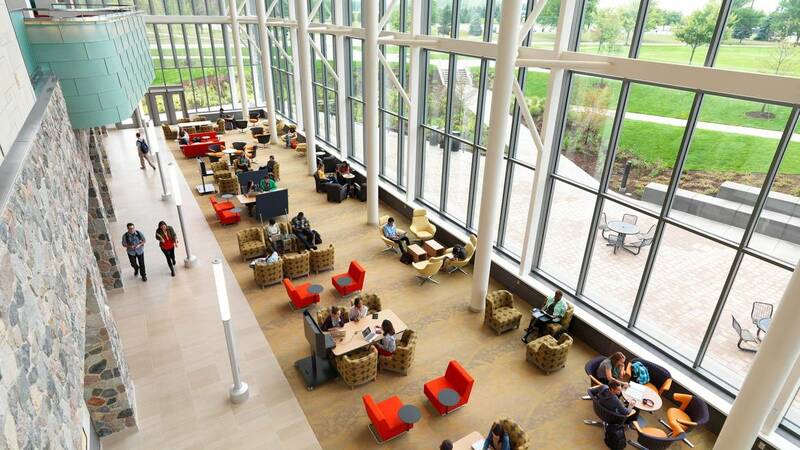 The new library offers students a number of communal and private seating options, greater access to power and multiple ways for displaying ideas. Aside from being far more functional, I’ve found I can use these diverse learning settings to choose the best place for me to do my best work. I can study independently in a private enclave. I can meet with a tutor or a small group in a project room or with an entire class of students for a large learning session. Another key feature of the renovated library is the Knowledge Market. This space counters the traditional quiet, hushed library we all visited as children. The Knowledge Market reduces the threshold to learning with a more open space and creates opportunities for spontaneous, informal peer-to-peer learning. This space is heavily used. Conversation and collaboration add energy to the entire library. We students are not the only ones who relish this facility; faculty and professors alike take full advantage of it. 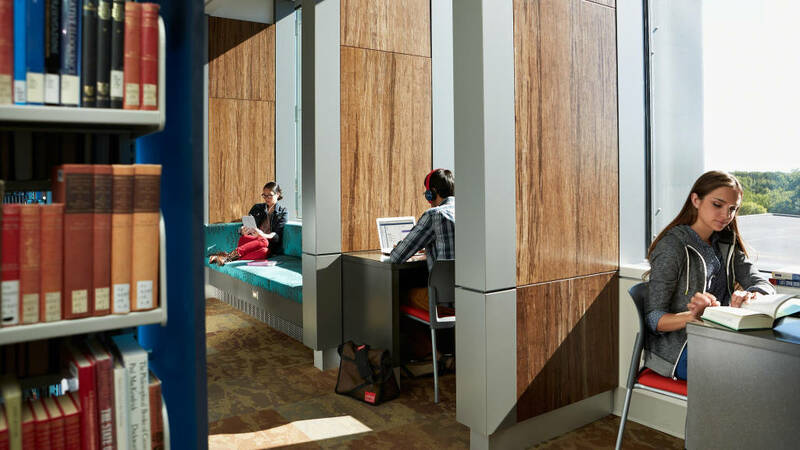 Many students and professors share the space as well as an unspoken agreement that the library can be preferred over the classroom. 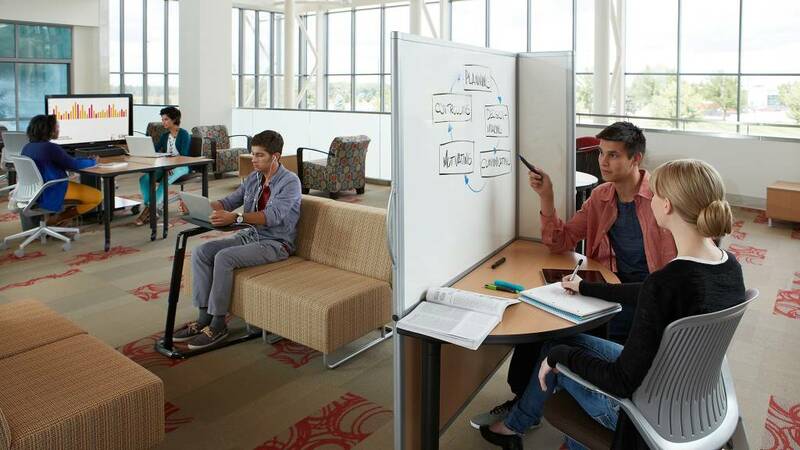 I have had professors move classes from typical academic buildings to collaborative spaces in the library for more interactive and creative sessions. 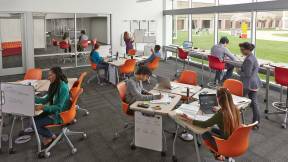 Educators acknowledge the active learning spaces within the library are far more effective than traditional classrooms with stationary desks, whiteboards that can’t be moved, stark walls and a lack of natural lighting. 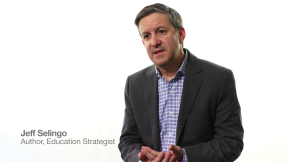 Workplaces today and tomorrow need people who can collaborate and offer creative solutions to complex problems. 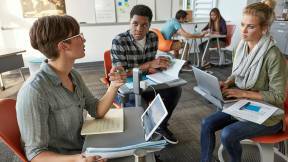 Educators are increasingly looking for ways to equip their students with those skills. 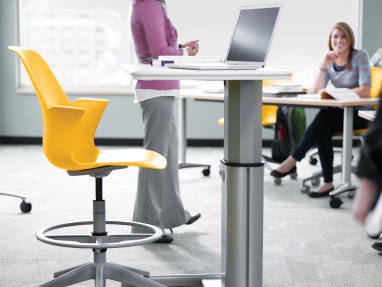 The environment can help encourage active learning behaviors. The active learning spaces in the Grand Valley State University library have helped me discover how to collaborate, research and create. An active learning pedagogy paired with the dynamic environment have prepared me to contribute to my future workplace right away.